Spruce up your desk with a nice charging stand. If you’re anything like me, the thought of a messy, cluttered desk drives you crazy. That includes small details like your phone sitting randomly next to your keyboard — luckily, a charging stand can clean things up and turn your phone into an elegant and functional part of your desk, rather than part of the mess. Though my preferred solution is a wireless charger like Samsung’s convertible pad, the Pixel 2 and Pixel 2 XL don’t support wireless charging. That doesn’t mean stock Android fans can’t still enjoy a charging stand, though — in fact, it just means you don’t have to pay more for slower charging speeds. Here are some of the best charging stands for your Pixel 2, Pixel 2 XL, or any other USB-C phone, for that matter. If you don’t mind providing your own cable and you’re strictly after aesthetics, it’s hard to go wrong with Spigen’s S310 phone stand. 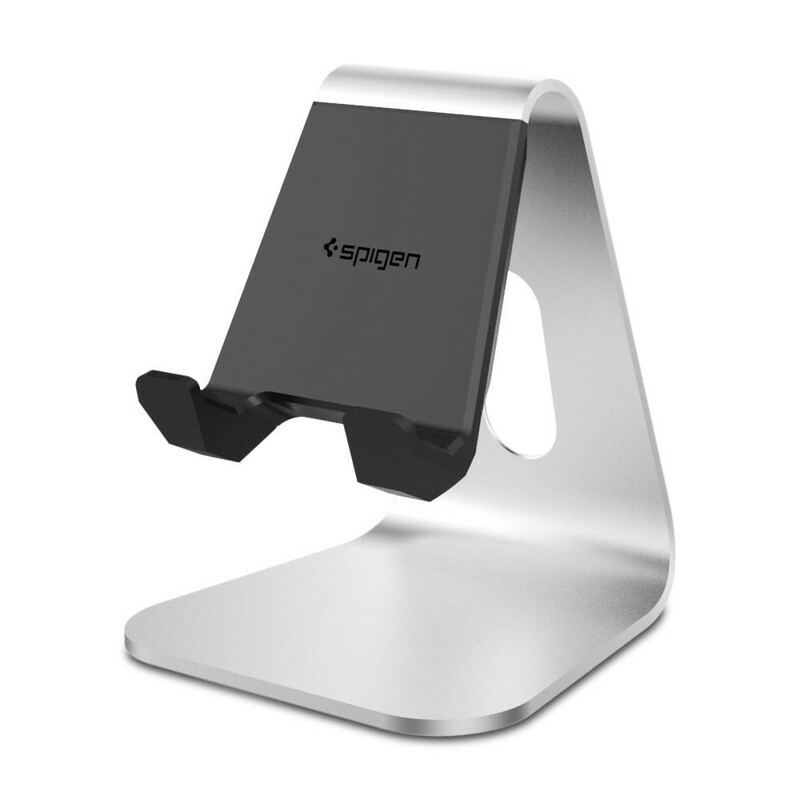 It closely resembles the stand for an iMac, mostly made of aluminum with Nanotac feet to keep it in place and a TPU mount (the same material used in Spigen’s cases) to keep the S310 from scratching the back of your Pixel 2. Since you can use your own cable with the S310, you don’t have to worry about charging rates — just use the charger that came with your Pixel 2, or a similar USB-C PD charger. Best of all, the S310 is sturdy enough to accommodate larger devices like the Nintendo Switch, for those quick gaming sessions between studying or working. The only major downside of the S310 is its fairly steep price at $29.99, but again, if aesthetics are your main concern this is a great option. While there’s nothing wrong with a slotted stand that holds your cable in place, it’s nice to have a stand with a built-in USB-C port that won’t move around or fall out when not in use. 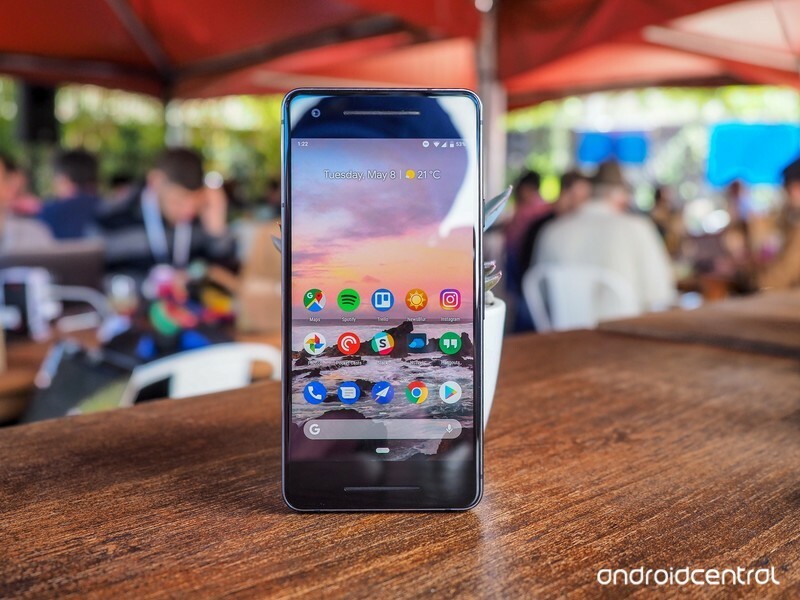 The Encased charging dock isn’t just compatible with the Pixel 2 — it’s designed specifically with it and the larger variant in mind. 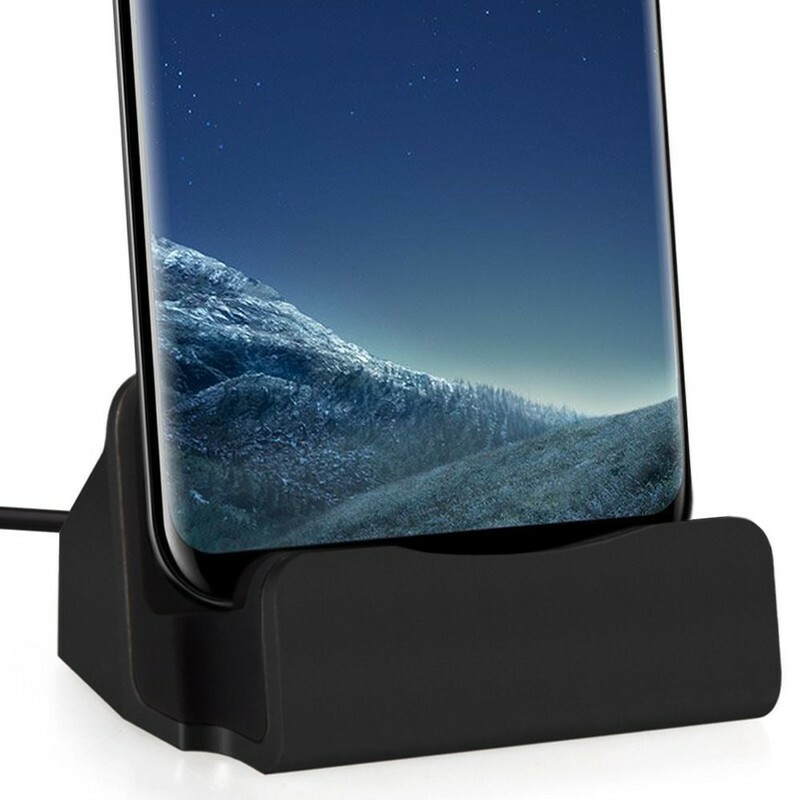 Of course, you can still use it with other devices, and there’s a wheel in the back to adjust the height of the USB-C plug-in, but who can argue with a charging dock catered specifically to your phone? The downside? Despite Encased advertising otherwise, customer reviews indicate that this dock doesn’t support quick charging. On the bright side, Encased includes two cables with the dock (one Type-C cable and one C-to-A cable) — for only $19.99, that’s not a bad deal at all. The FanTEK dock may not have been made with the Pixel 2 in mind, but it works with it all the same — and with the smallest footprint on the list. It’s not much bigger than the phone itself, and you can move the front of dock back and forth to best fit your phone, even if it’s in a thick case. There’s also still a small backing for support, keeping the USB-C plug from snapping off over time. FanTEK makes this dock in a few different colors; you’ll be able to choose from black, silver, gold, and rose gold. It supports quick charging, and best of all, it’s the cheapest dock on the list at just $7.99. This is another dock that relies on your own cable without a built-in USB-C connector. Sinjimoru makes its dock out of pure aluminum, and takes on a unique C shape with feet holding it in place, rather than the more traditional flat base. 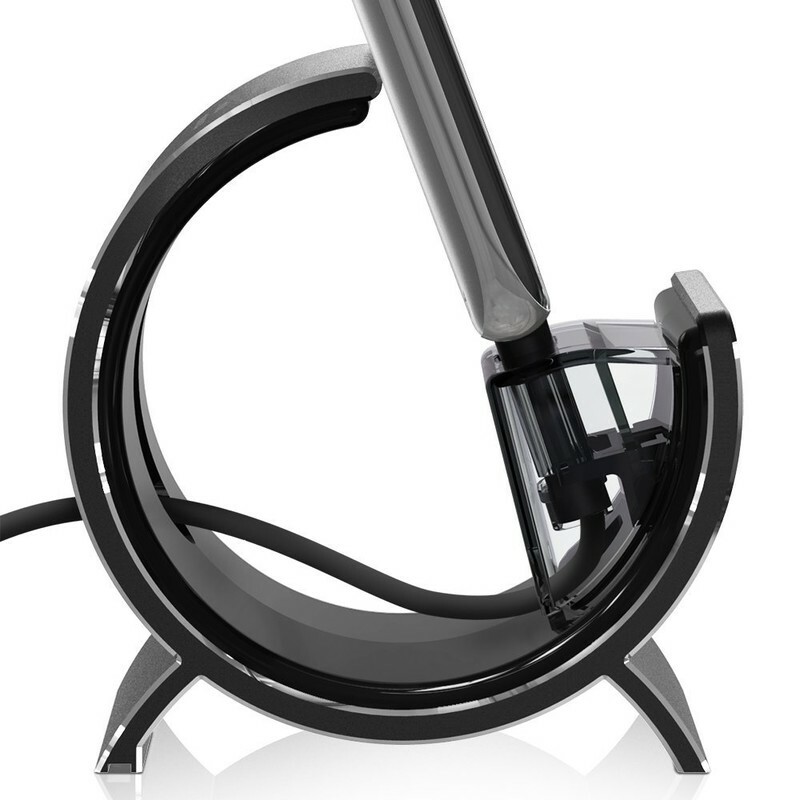 Available in silver or black, it’s one of the more eye-catching charging stands around, and it doesn’t occupy much space on your desk. Just keep in mind that while this stand includes a USB-C cable, you’ll need to provide your own charging brick. For $21.99, this is a bit more expensive than the offerings from Encased or FanTEK, but that price might be worth paying if you’re after a unique stand to showcase your Pixel 2. 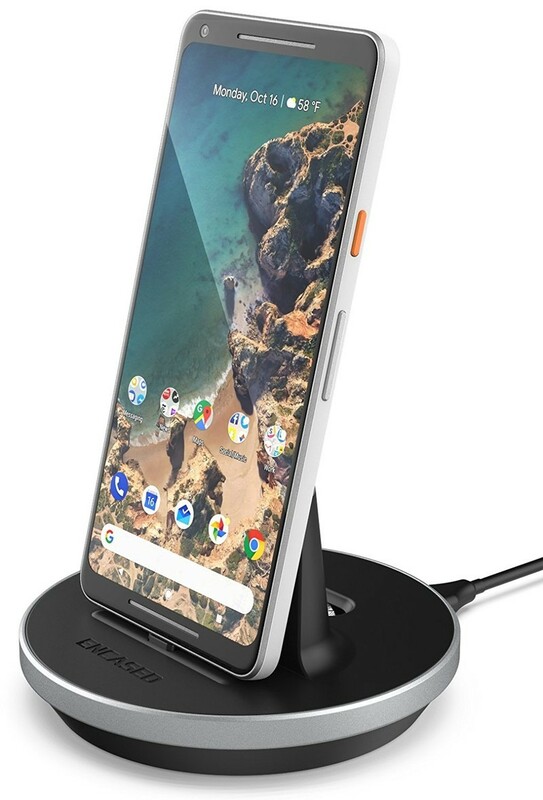 Have you considered a charging stand for your Pixel 2 or Pixel 2 XL? Would you buy one of the stands we recommended here, or is there a different one that’s caught your eye? Let us know in the comments below!